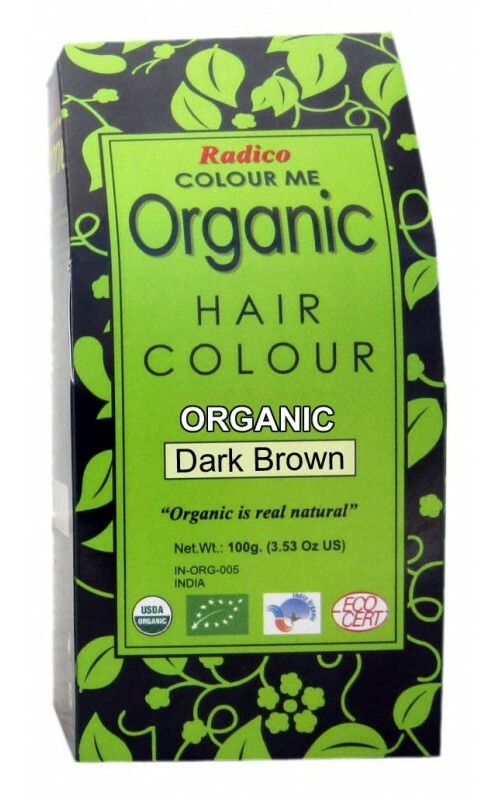 Radico Organic Hair Color is a perfect blend of rare hair treatment herbs without any chemicals. This is a powder based color. Getting rid of your gray hair cannot be easier than this. And what's more?It leaves your hair shiny,lustrous, and naturally healthy after use. It is a boon for people with sensitive skin who are allergic to chemicals. 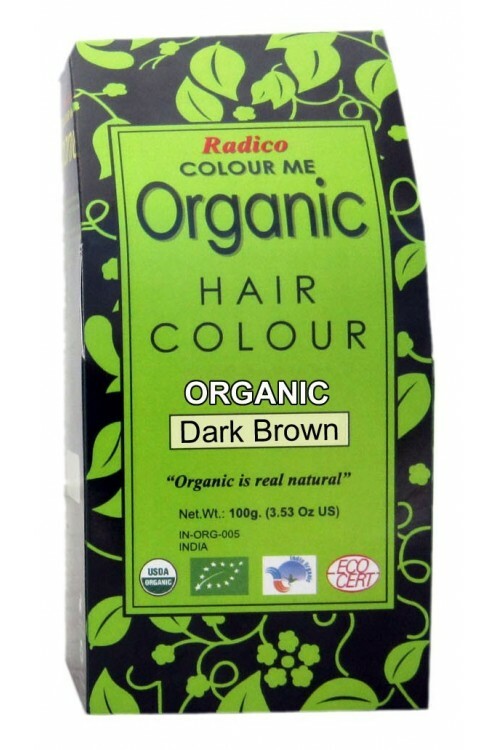 Radico Organic Hair Color is a Professional Hair Color manufactured by using ayurvedic Certified Organic herbs [henna, methi, amla, hibiscus, bhringraj, coffee, indigo in different proportions].This is the first certified organic hair color which covers gray hair effectively and properly in one step with no synthetic ingredients. It gently coats your hair for vibrant stable color that lasts long.And also balances and nourishes the hair shaft to prevent breakage and overdrying. Leaves hair shiny, thick, lustrous and naturally healthy.It's time to say goodbye to irritating gray hair. So if you are allergic to chemicals and have sensitive skin, this chemical free hair color is just made for you. Certified Organic Hair Color from ECOCERT. Completly safe & healthy hair color. Mix in warm water in 1:3 ratio( 1 part organic hair colour & 3 parts water), apply with hand or brush, cover head with shower cap, heat through hair dryer can be applied during this time to intensify results, rinse wash after 60-90 minutes. shampoo after 2 days. first time users do it twice in 3 days interval. Please be patient with this hair colour made of only herbs, Colour appears over 48 hours. Please do not compare results with chemical hair colours.